Portable speakers are a problematic affair. You don’t want to buy something too bulky, then again if you buy something extremely portable, chances are that the sound won’t be very good. 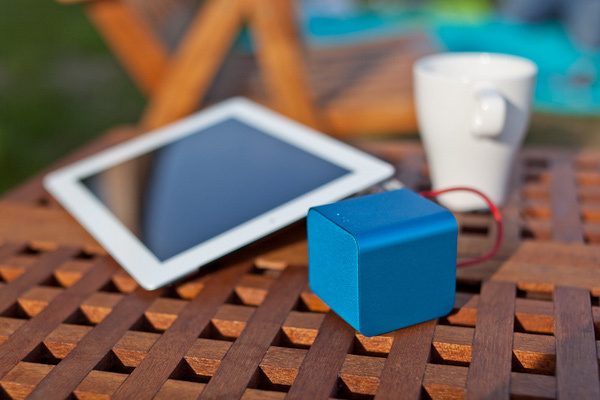 The tiny NuForce Cube speaker is supposed to offer three different functions that will make life easier for you to share your tunes on the go. 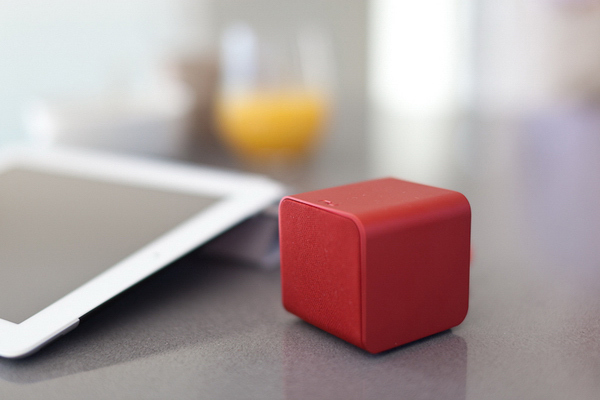 In addition to working as a portable speaker, the Cube has two 3.5mm audio jacks, one for connecting mobile devices and the other for headphones. The headphone jack can be used to boost the audio quality and power of the sound from your media player or smartphone. The speakers also have a USB digital-to-analog converter which is able to bypass your laptop’s integrated DAC and improve the sound quality. The speakers measure 2″ on each side, making them quite portable. 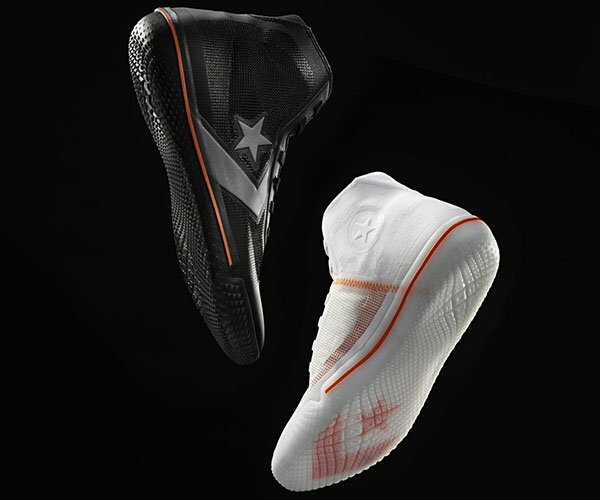 Each one has a built in rechargeable battery and a charge is enough to provide 8 hours of playback. 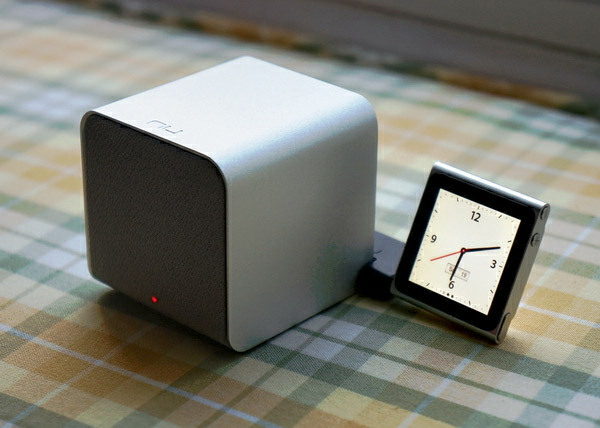 One other unique feature of the NuForce Cube is an optional iPod nano docking connector, which allows you to hang the latest-gen nano from the side of the speaker. NuForce doesn’t provide specs on the amplifier or speaker output, but hopefully it’s better than other speakers that are this small. 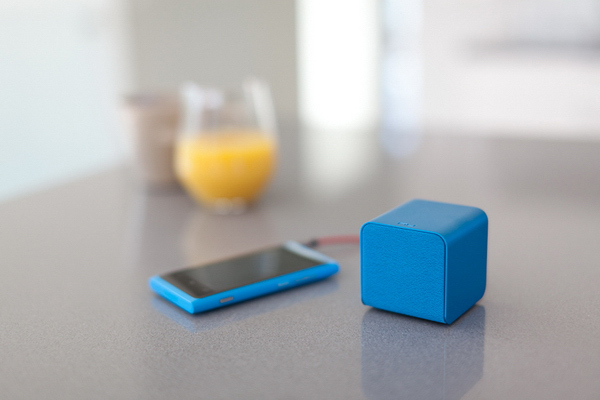 The NuForce Cube speaker sells for $119(USD) and it’s available in blue, red, black and silver.